Fort Hancock and Sandy Hook Proving Grounds was located at the northern most point of Sandy Hook peninsula, Monmouth County, New Jersey. 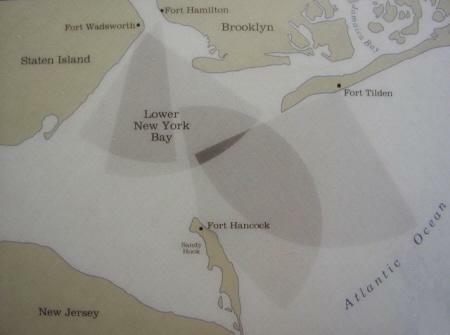 While this Fort was not located in the State of New York, Fort Hancock worked in conjunction with Fort Tilden (Queens), Fort Hamilton (Brooklyn) and Fort Wadsworth (Staten Island) in the protection and defense of the New York Harbor entrance. Therefore, I have included it with other New York Military Railroads. The Sandy Hook Proving Grounds was, from what I have learned and understand; a completely seperate operational area from Ft. Hancock. When Sandy Hook Proving Grounds was deactivated, Ft. Hancock would expand and absorb that property formerly part of Sandy Hook Proving Grounds. Sandy Hook Proving Grounds was the location of which many types of heavy artillery were tried prior to the activation of Aberdeen Proving Grounds. On 10 January 2010, I received an email from Ken Sineri, who sent the following images. While not directly related to the railroad, they are historically important to the location, so I am displaying them here. The top two images were taken at Sandy Hook. The bottom image of the 12 inch mortar in not believed to be. All were taken from a 1894 Morgan Engineering salemen's catalog. A salesmen's catalog! I can just imagine the sales pitch: "Sir! May I interest you in the finest steam powered retractable weaponry produced? 10 inch bore... retracts behind your embattlement for protection. Easy to maintain. Protect your shores and be feared by all prospective invaders! And, if you buy within the next 30 days, I have it within my authority to include a dozen shells at no extra charge..."
Fort Hancock was first established in 1874 along the north end of the Hook, as a testing facility for new and modified artilliery pieces. The firing range extended 3,000 yards south along the beach, and was known at that time as Sandy Hook Proving Grounds. Because of the importance of New York Harbor, Sandy Hook was chosen as the site for America's first concrete gun batteries. 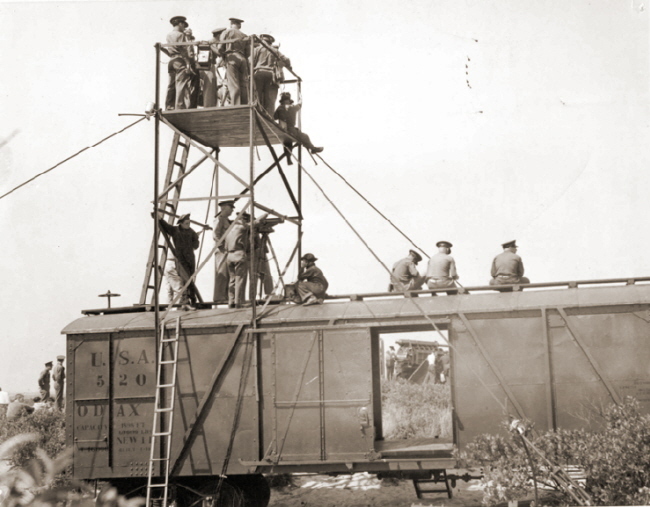 Here the Army constructed its first, and only, steam-powered "lift gun battery." 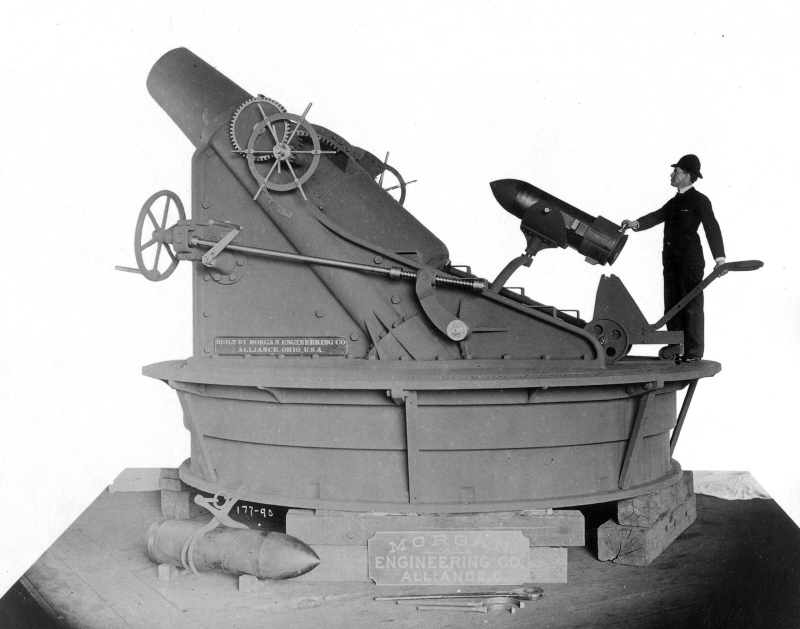 This battery, named "Battery Potter", was so named to honor Civil War General Joseph Potter. This emplacement was completed in 1895. 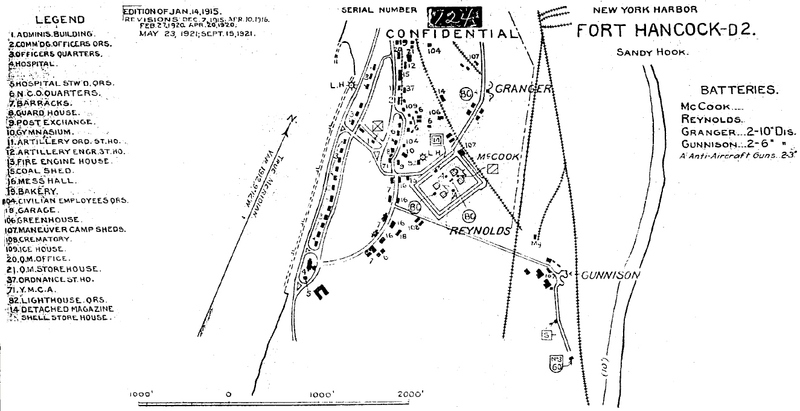 On October 30, 1895, the United States War Department designated the fortifications at Sandy Hook, "Fort Hancock"
In 1898, the formidable coast defenses at Fort Hancock were under construction during the Spanish-American War, with the World War I looming on the horizon, were expanded as well. 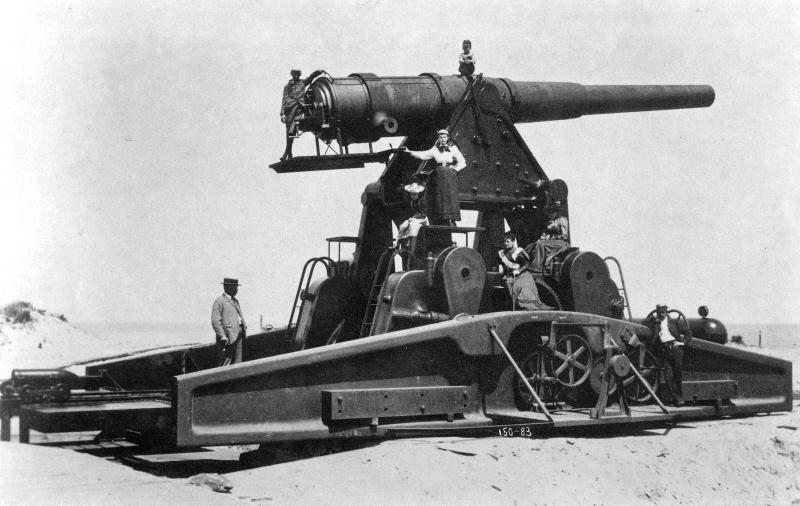 With World War I came the introduction of airplanes and aerial bombing, and therefore the U.S. Army added anti-aircraft guns (mainly 155 millimeter but other calibers as well) to the existing gun emplacements to protect its coast artillery fortifications from enemy air attack. Upon the conclusion of World War II, and the advent of new rocket weaponry; the concept of defending harbors with heavy artillery was obsolete. World War II changed twenty years of military strategy, and with it, Fort Hancock evolved from coastal defense battery to anti-aircraft emplacement. Then again in 1954, military weaponry evolved once again, and the Army replaced the anti aircraft artillery with "Nike" ground-to-air defense missiles. Nike Missiles were designed to intercept and destroy fast moving jet aircraft at high altitude, before they reached the metropolitan area. Nike "Hercules" air defense missles were equipped with both conventional or small yield (20 kiloton) nuclear (fission type) warheads to increase effective destruction area and to increase the probability of disabling a majority of a aircraft squadron, as opposed to a single aircraft. The introduction of Inter-Continental Ballistic Missiles (ICBM's) totally invalidated the Nike air defense system and in 1972, Fort Hancock was decommissioned and transferred to the National Park Service, where it is now administered to as part of the Gateway National Recreation Area. 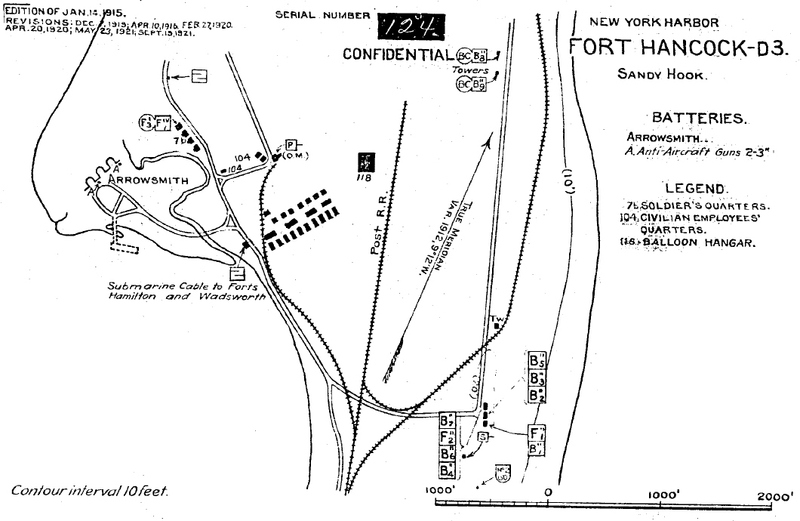 As with the other Forts in this website, very little is known about the specifics of the railroad, but unlike other Forts in the New York Area, it is understood that Fort Hancock was connected to the standard gauge trunkline rail network. Internet research has provided information that Fort Hancock was also home to specific elements of the 52nd Railway Artillery Battalion. Battery C, Battery E and HQ Battery of the 52nd were at Fort Hancock. Battery C were 12 inch mortars and Battery E were 8 inch guns. The Sandy Hook Proving Ground began in 1874 and closed in 1919. This was the US Army's first official place to test weapons. 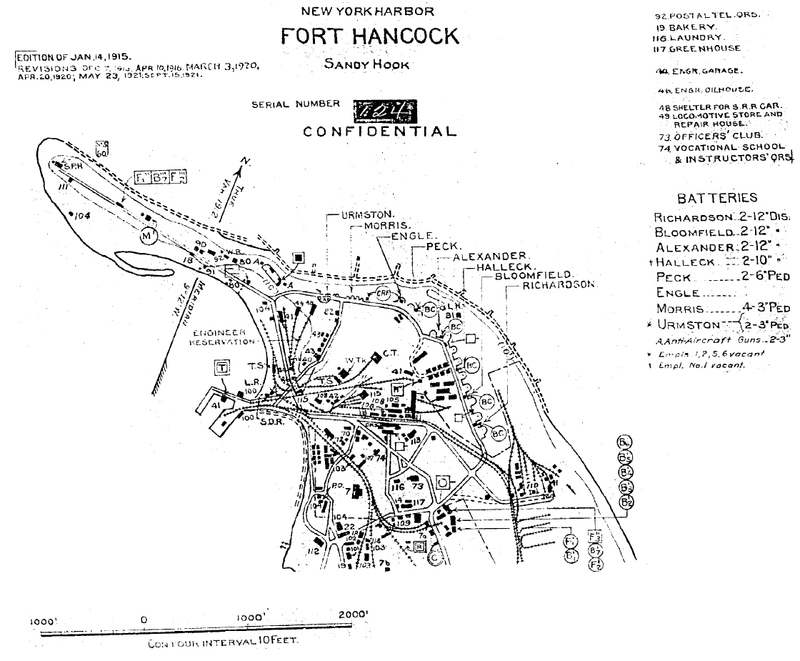 Fort Hancock was a different US Army post of the Coast Artillery Corps named in 1895 closed in 1974. They were both there at the same time on the same peninsula but with different boundaries. 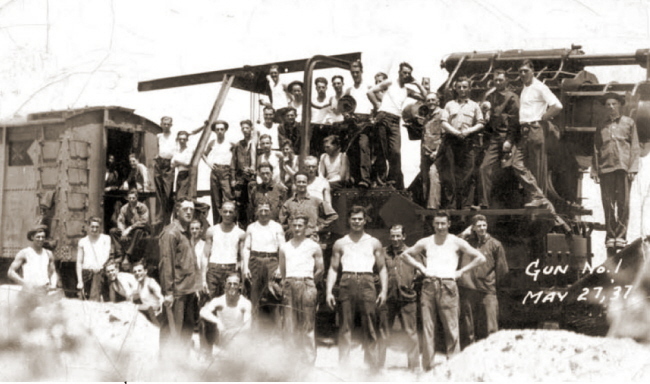 The 52nd Railway Artillery, Second Battalion; and Third Battalion, Battery E; were relocated to Fort Hancock in 1931. 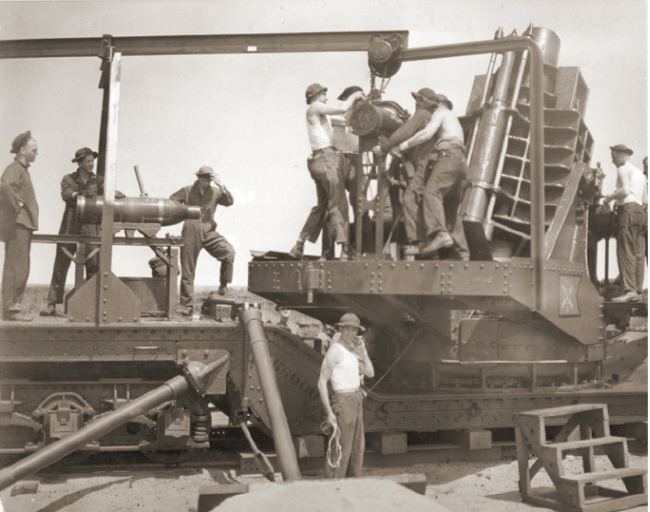 The batteries sent to Fort Hancock would conduct practice operations at Cape May during the Depression era, but would use light poweder charges to prevent the breaking of windows as funding was not available to replace broken windows..
After 1938, the 52nd Railway Artillery would conduct practice at Camp Henlopen, which was more remote and equipped with a rail network and was remotely located, thereby eliminating the risk of window damage. In October, the units of the 52nd RA at Fort Monroe were deactivated and remaining elements of this unit was reorganized at Fort Hancock, including the 1st Battalion which was inactive since 1922. By May 1943, the headquarters battery of 52nd (stationed at Fort Hancock) was deactivated and personnel absorbed into coast artillery regiments. 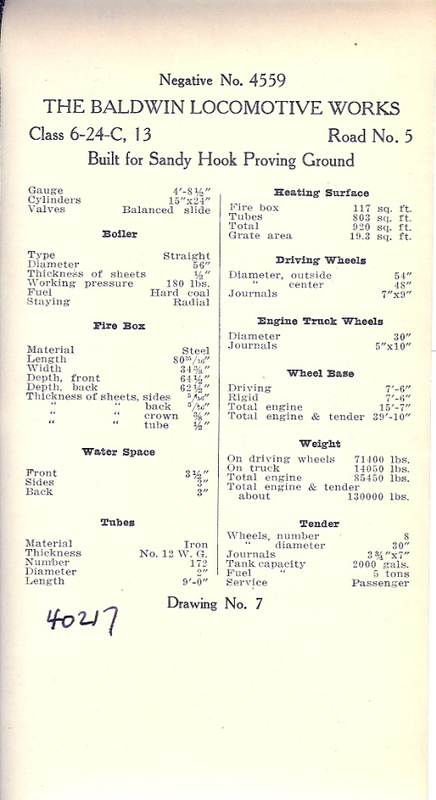 Locomotive builders records show locomotives for both narrow and standard gauges. Maps also reflect that both narrow gauge and standard gauge trackage was in place and used simultaneously. Is is believed that the standard gauge trackage was utilized for passenger, troop train and railway gun movements and of which allowed for interchange with Class 1 railroads at Highland, NJ. (Central Railroad of New Jersey). 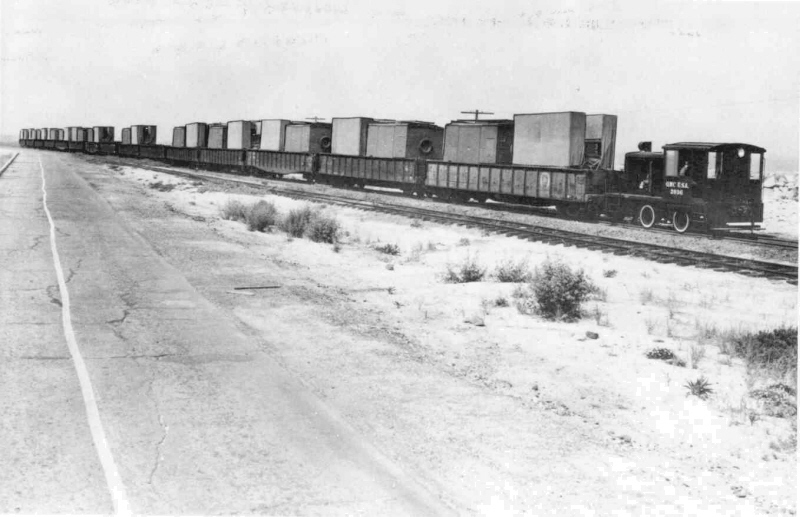 The internal narrow gauge rail network was presumably used for supplying the artillery batteries with ammunition, projectiles, and miscellaneous supplies. 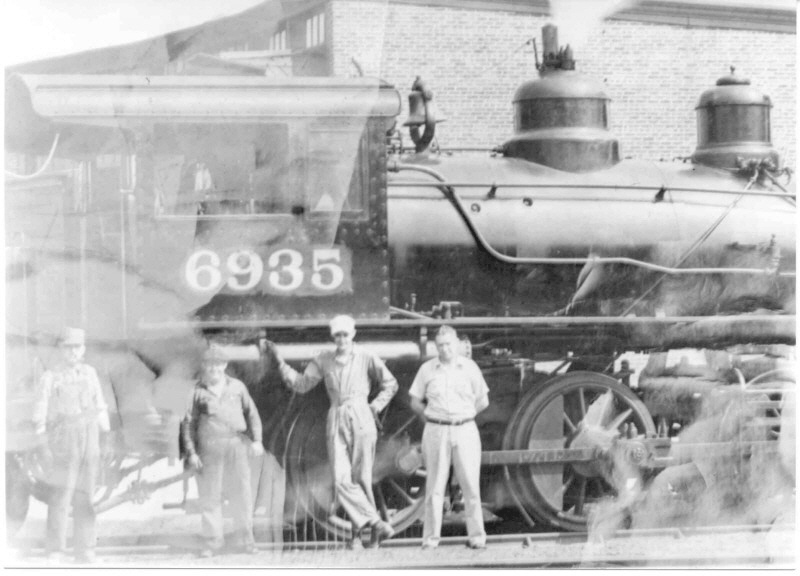 In terms of locomotives, the history of most of Fort Hancocks locomotives is documented. The unusual entry on the list below, is the standard gauge 4-6-2 formerly from the Erie Railroad. 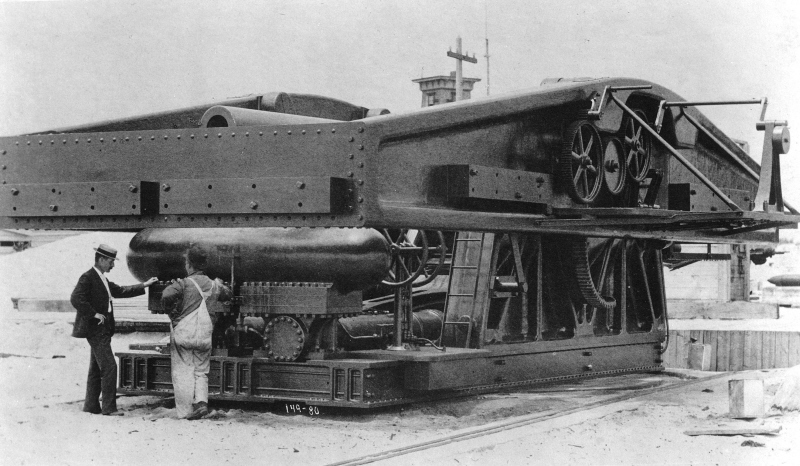 This locomotive, with the listed size wheel diameter and wheel arrangement was a fast passenger engine. Why it would appear to be used at Fort Hancock, raises questions. But, from viewing the images above, it appears that the equipment in those images is standard gauge. 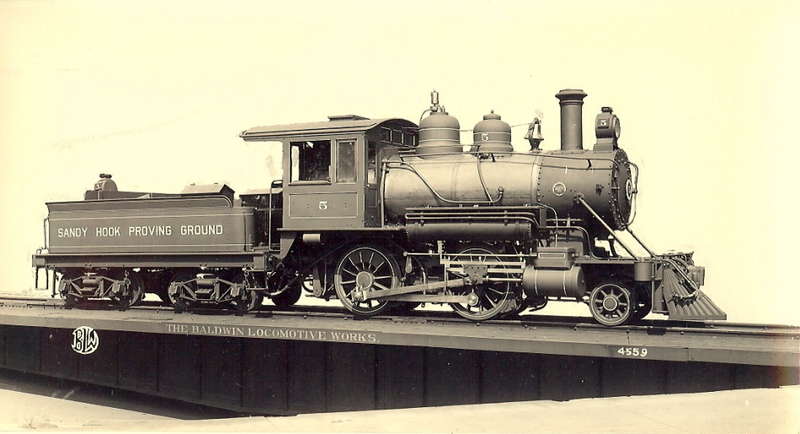 The Sandy Hook Proving Ground ran the railroad on the hook and their engine was the General Rodman. When they left ca. 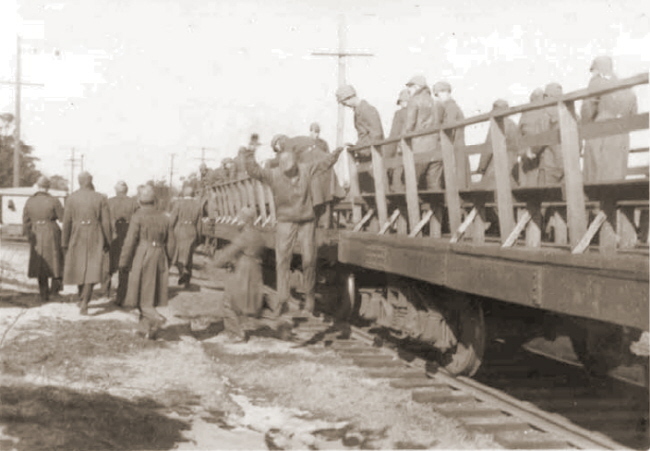 1920, the railroad operation went to the Fort Hancock Engineers." "He started in Feb 1917, working for the Ordnance Dept at the Sandy Hook Proving Ground, then working for Fort Hancock. He said they had 3 passenger cars that transported troops and school children each day. He worked until 1949 when he retired a few days after delivering the engine off the hook for the last time. He delivered it to the Central RR of NJ. He said there were 2 different gauges. 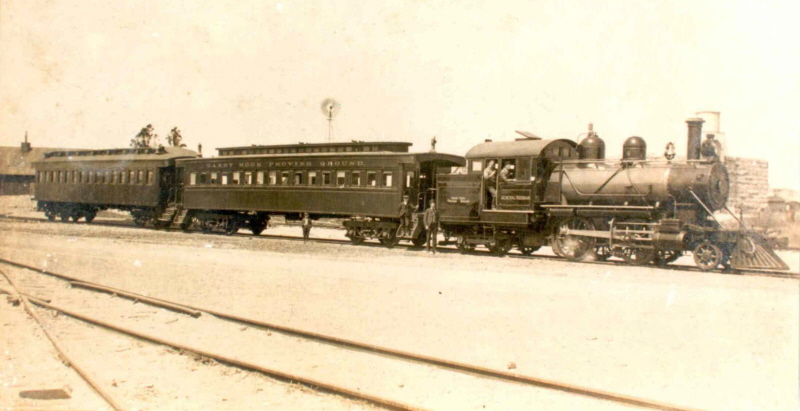 The railroad was originally for civilians on steamships to come down the shore. I believe it was the New Jersey Southern RR with a dock in Horseshoe Cove. The train would then take the tourists that came from New York City down to places such as Long Branch. When Fort Hancock did not want civilians near its facilities, the railroad then was moved to a dock in the Spermaceti Cove vicinity, but then removed from the peninsula altogether. I am not sure of the years of this movement or the civilian railroad but you can check resources such as "Indian Trail to Electric Rail". At the southern end of the hook, the military line linked up with the Central RR of NJ. There was a station there called "Highland Beach"..
Ms. Rasa was kind enough to forward the following images from the collection. The first is a property map dated 1908 and shows the Sandy Hook Proving Grounds and shows both the narrow gauge and standard gauge trackwork. I have left this map somewhat large to keep legible. The following maps were located on the web by Joe Roborcky within the website of the Coast Defense Study Group. The last revision date on all maps below is September 15, 1921. Again, I have left the maps large so as not to lose detail. Long Branch & Sea Shore, New Jersey Southern, Central Railroad of New Jersey or New York & Long Branch. Further identification and information is invited. sold for scrap 1956 352 h.p.